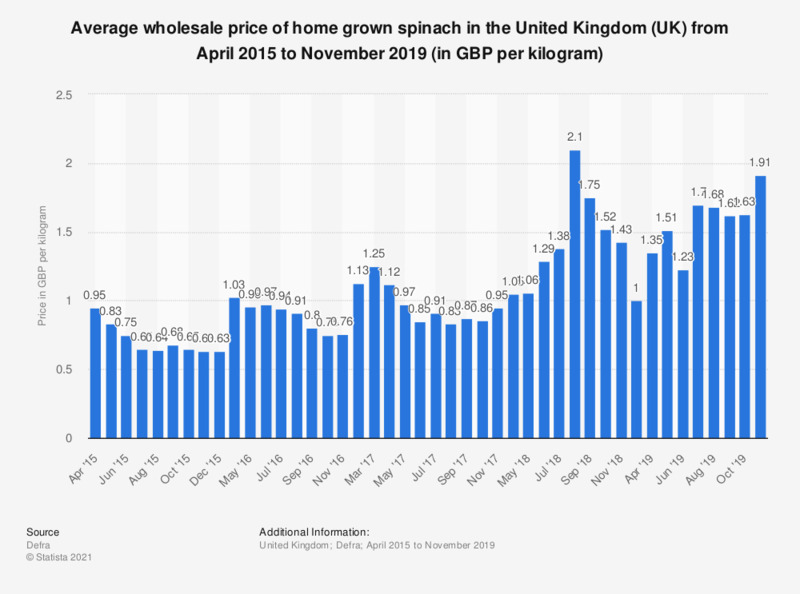 This statistic displays the wholesale price of spinach in the United Kingdom (UK) from December 2014 to May 2018. The wholesale price of spinach was valued at 0.98 British pounds per kilogram in June 2016, an increase of 29.4 percent compared to a year before. Data for January to March 2015 and January to March 2016 is unavailable. Data for the months not mentioned is unavailable.